Past cases of “viral” social media posts about skin cancer demonstrate the capacity for social media messages to increase public engagement with prevention content. Rates of both melanoma and nonmelanoma skin cancer are increasing globally, and the number of annual skin cancer diagnoses in the United States now exceeds that of all other cancers combined. Some experts advocate the use of social media as a platform for such messaging, as this approach may be particularly effective in reaching young people because of their high engagement with social media, as 70% of teens use these sites.5 In addition, more frequent social media use has been linked with greater use of indoor tanning, and the indoor tanning industry uses social media sites to advertise directly to young people. Message content. Evidence indicates that appearance-based messages may be especially effective for skin cancer prevention, and posts that contain images are more effective than those that do not. Timing. Online searches and social media posts pertaining to indoor tanning are most frequent between February and May in the United States, suggesting that this timeframe may be ideal for increased online prevention efforts. Type of platform. Visual-oriented social media sites such as Instagram and Snapchat are especially popular among female adolescents, and young women are frequent users of Pinterest,1 suggesting that prevention-based efforts for these age groups may be most effective on these platforms. Although more research is needed specifically regarding the use of social media to disseminate public health messages about skin cancer, previous studies have demonstrated the benefits of using technology-based interventions in general for this purpose. A paper recently published in Preventive Medicine described the case of a young woman from Kentucky who posted a photo of herself on Facebook after undergoing treatment for skin cancer on her face, in which she cautioned viewers to avoid tanning beds and prolonged sun exposure.10 The post went viral and was reported by news media after it was shared on Facebook 50,000 times. Soon thereafter, online searches for skin cancer information reached near-record levels, demonstrating the capacity for social media messages to increase public engagement with prevention content. There is a need for digital surveillance methods that could “rapidly detect events while they are happening in near real time, allowing public health practitioners to engage and potentially elevate positive effects,” the authors noted. Meanwhile, some dermatologists have begun using social media to increase skin cancer awareness, including Ellen S. Marmur, MD, associate clinical professor in both the department of dermatology and the department of genomics and genetic science at the Mount Sinai Medical Center, and president of Marmur Medical. Dermatology Advisor checked in with Dr Marmur for a brief discussion about the use of social media for skin cancer prevention. Dermatology Advisor: From your point of view, what role do social media sites play in disseminating information about skin cancer prevention and treatments? Dr Marmur: Any images and personal stories that remind people about skin cancer, what to look for, even scars after surgery, really help save lives. I think social media has made people much more aware of all things skin related. With everyone Instagramming their treatments, procedures, and products, people are more aware of ways to keep their skin healthy, safe, and more youthful. Dermatology Advisor: Do you think dermatologists are using these sites to their full potential to communicate to the public and raise disease awareness? Dr Marmur: I think it is more impactful when patients spread their stories about skin cancer prevention and treatments versus the doctors — but doctors can be doing much more on social media to raise awareness. Dermatology Advisor: What are the drawbacks, if any, to using such a “casual” platform for serious health information? Dr Marmur: Social media can be inaccurate and can either give false reassurance or can cause panic in people who don’t check in with a board-certified dermatologist. Skin is not a one-size-fits-all organ, and each person has environmental factors that play a part in their necessary treatment protocol. Dermatology Advisor: What are some important caveats or other takeaways for clinicians regarding this topic? Dr Marmur: Don’t be too shy or too professional. Be educational and specific and personal with the spirit of being a resource for the social media audience. Avoid selling your services and practice. Just be there for the patients or audience as someone they can turn to for information about caring for their skin. And do not use scare tactics — you don’t want to create panic, just awareness. Tang L, Park SE. 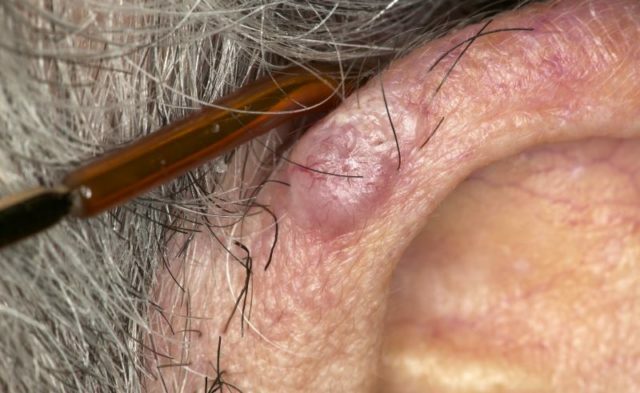 Sun exposure, tanning beds, and herbs that cure: an examination of skin cancer on Pinterest. Health Commun. 2017;32(10):1192-1200. National Cancer Institute. Cancer trends progress report: Sun Protective Behavior. https://progressreport.cancer.gov/prevention/sun_protection Updated January 2017. Accessed May 18, 2018. Centers for Disease Control and Prevention. Skin cancer prevention progress report 2016. Atlanta, GA: CDC; 2016. Wehner MR, Chren M-M, Nameth D, et al. International prevalence of indoor tanning: a systematic review and meta-analysis. JAMA Dermatol. 2014;150(4):390-400. Falzone AE, Brindis CD, Chren M-M, et al. Teens, tweets, and tanning beds: rethinking the use of social media for skin cancer prevention. Am J Prev Med. 2017;53(3 Suppl 1):S86-S94. Hingle MD, Snyder AL, McKenzie NE, et al. Effects of a short messaging service-based skin cancer prevention campaign in adolescents. Am J Prev Med. 2014;47(5):617-623. Youl PH, Soyer HP, Baade PD, Marshall AL, Finch L, Janda M. Can skin cancer prevention and early detection be improved via mobile phone text messaging? A randomised, attention control trial. Prev Med. 2015;71:50-56. Stapleton JL, Manne SL, Darabos K, et al. Randomized controlled trial of a web-based indoor tanning intervention: acceptability and preliminary outcomes. Health Psychol. 2015;34:1278-1285. Heckman CJ, Darlow SD, Ritterband LM, Handorf EA, Manne SL. 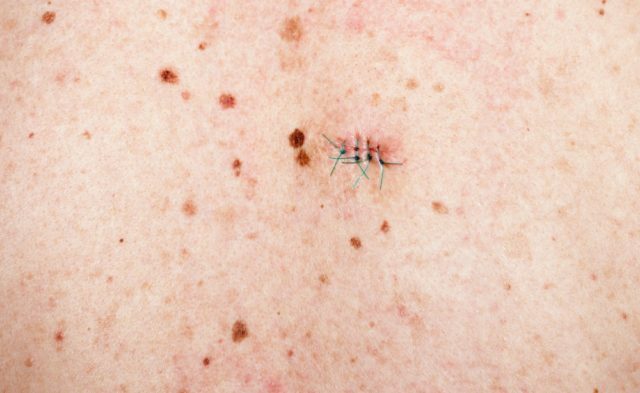 Efficacy of an intervention to alter skin cancer risk behaviors in young adults. Am J Prev Med. 2016;51(1):1-11.